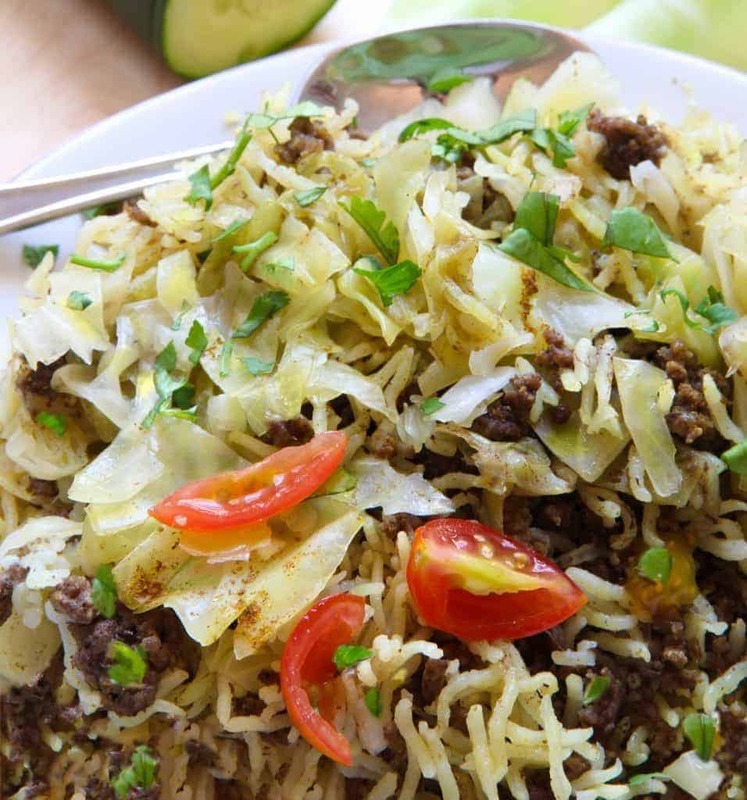 This recipe for the Instant Pot Ground Beef and Rice Shawarma is what happens when you come home tired after 4 long days of driving, everyone is hungry, there’s almost nothing in the fridge and you need to cook dinner for 5 people. It really was just time for some plain comfort food. 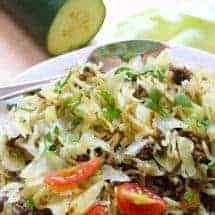 I had ground beef, a package of shredded cabbage and cole slaw, the odd onion and a few slivers of garlic, and of course, I always have rice and spices in my house (Asian girl syndrome). So I decided to just throw what I had into the Instant Pot, and decided if it didn’t work, there was also Pizza on call. Everyone had been moving, driving, hauling boxes, etc. all day, and we were all tired and just needed some comfort food before we went to bed. Some of us may or may not have eaten 3 servings of the rice and meat before crawling into bed. I served this with a side of kale, and we had Vietnamese Yogurt for dessert. The whole thing took 20 minutes from start to finish. It doesn’t get easier than this. Okay let’s be specific–this is not really a shawarma. 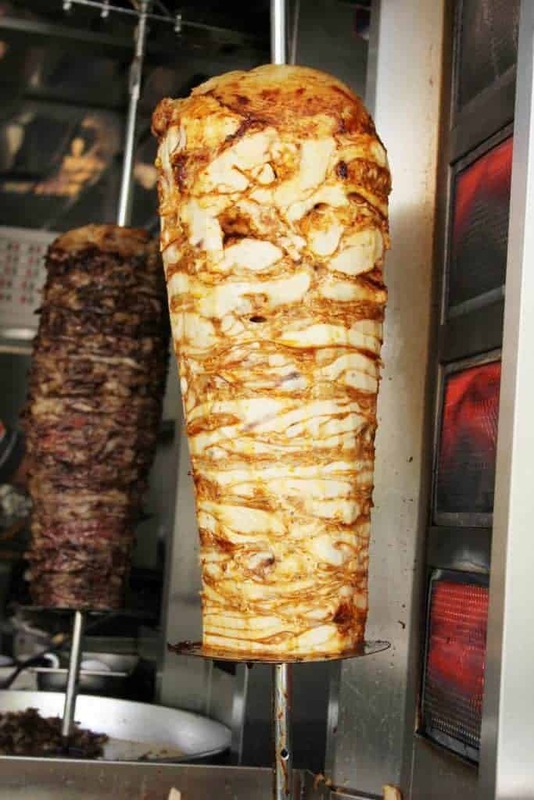 A Shawarma (Arabic: شاورما‎‎) can be either one of those loaf of meat, not unlike my Gyro recipe a or it can be chunks of spiced chicken, like in my Chicken Shawarma recipe. Or if you’re like me and like to play around with food traditions, you can make Shawarma green beans. Shawarma typically looks like this hunka grilled meat. Long slices are cut off and inserted between pillowy pieces of pita bread, with a little tzatziki on it, and off you go, with one of the tastiest sandwiches you’ve ever had. 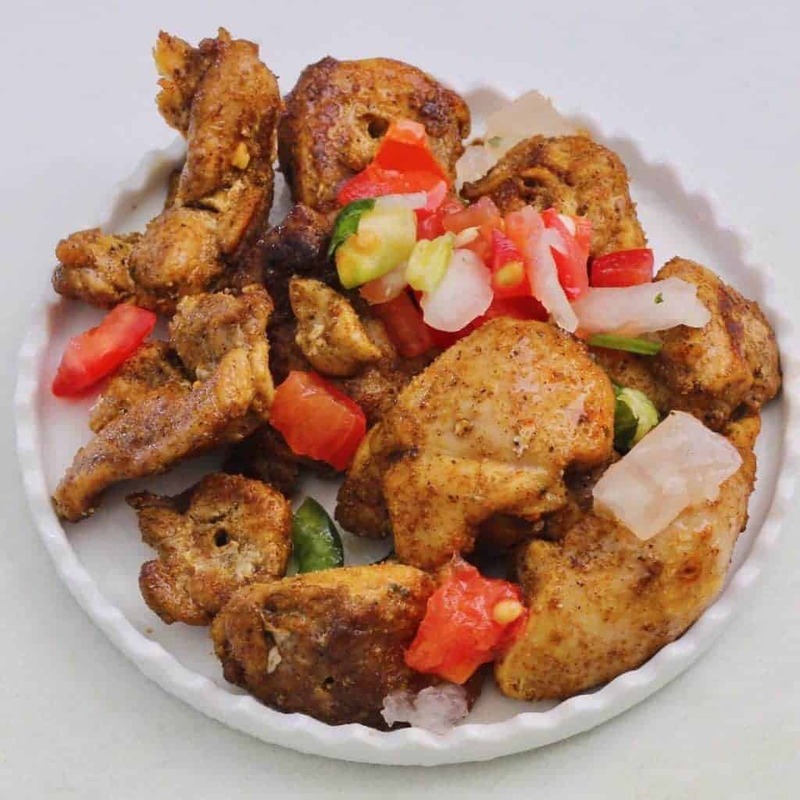 But when it come to chicken shawarma, usually it’s chunks of meat. So why am I calling this Ground Beef Shawarma then? I’m doing that because it actually tastes a lot like the Chicken Shawarma recipe I created, and it has the same spice mixes. 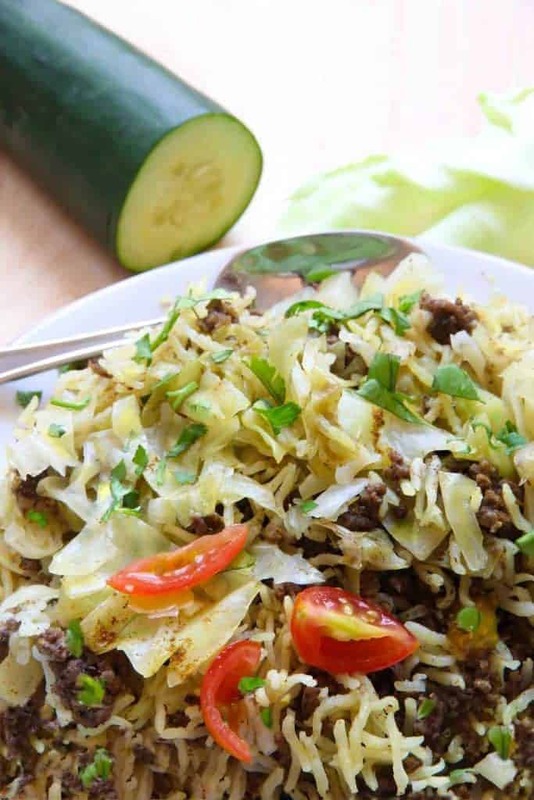 Instant Pot Ground Beef Shwarma and Rice combines ground beef and rice with spices to create a new twist on comfort food in your pressure cooker. Turn your Instant Pot onto Sauté on high. When the display reads HOT, add oil. When the oil is hot and shimmering, add the minced garlic and sauté for 30 seconds. Add onions and ground beef. Stir while breaking up the ground beef clumps. Don't worry about cooking the beef at this stage, just break it up well. 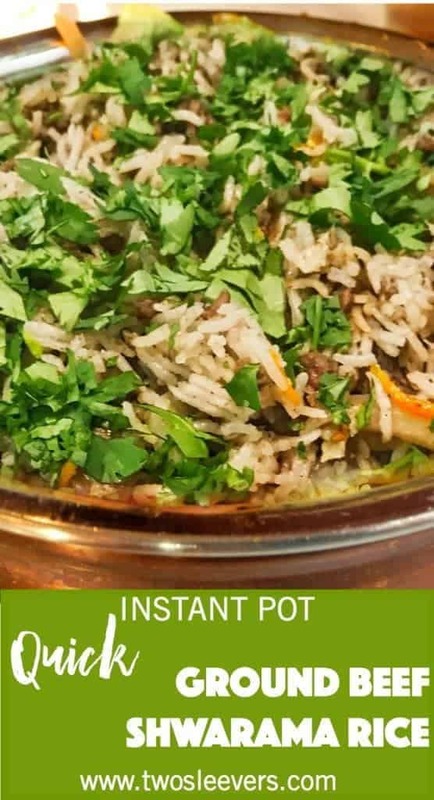 Note, if you have ANYTHING sticking to the bottom of the Instant Pot, pour in 1/4 cup of water and thoroughly deglaze the bottom of your pot. Add rice, water, cabbage, salt, and shawarma spice. I love using high quality accessories for my Instant Pot like Fat Daddio’s cake pan used with the Keto Gluten-Free Coconut Almond Cake. 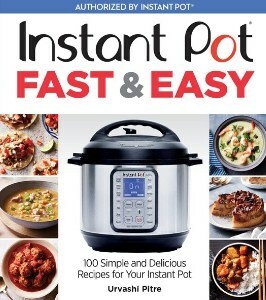 Check out all my favorite Instant Pot accessories and my top 20 favorite kitchen gadgets for foodies! This recipe was a disaster for me. I doubled it and it triggered the Burn notice twice. The bottom of the pot had burnt rice that was incredibly difficult to remove… twice! I followed all the usual steps to prevent Burning, like thorough deglazing, clean lid with well-seated ring, extra water, etc. I’ve been using my IP at least twice a week for over a year and never had a recipe misbehave this much. I managed to cram the double batch into a second container to finish cooking it pot-in-pot but it ended up mushy because of the three attempts. It’s also very underseasoned and not very flavourful. Not sure if it’s because some of the spice mix got stuck to the bottom, but I’m not impressed. I think some recipes are just not meant to be doubled. Hi there. First, I’m sorry this didn’t work out for you. 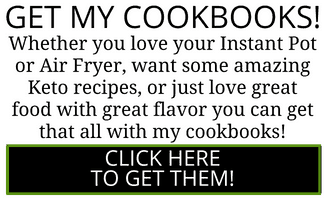 Second, this is a very popular recipe that has been made by thousands, so it’s not the recipe. Something else went wrong and we’d love to help you troubleshoot this. 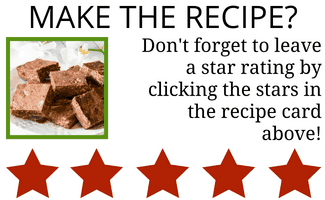 All the recipes on this blog are extensively tested by me, as well as by my readers and followers. Third, my facebook group is full of helpful people who can help you, especially if you describe how you changed up the recipe. Fourth, when you double rice in a pressure cooker, you need to use 1 3/4 cups of water for every 2 cups of rice. Fifth, if you would like your rice more seasoned, do double up on the shawarma mix. Tried this the way it was described – turned out great! Additionally, for those of who don’t eat meat in the house, I did this on the stove-top with tofu and cooked rice, it was superb! Thank you for posting this! Hi there. Sounds like your pot didn’t come to pressure. The ground beef should not have been red. Did you check your seal? 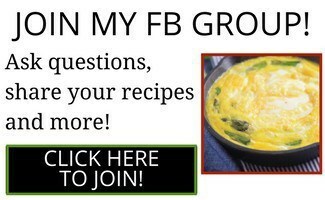 This is the first recipe I have made from your website. Oh my goodness it was amazing! I cheated and used a bag of coleslaw after reading the user comments and served it with a salad with chickpeas and made a yogurt tahini dressing as well as a tahini/yogurt sauce to top the beef/rice. I have impressed myself with dinner! Plus I made your shawarma spice which I will be using with everything.